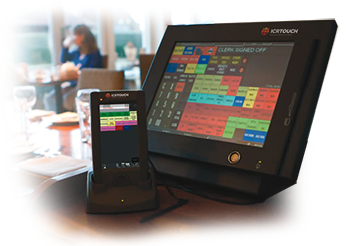 Enhance your business at the point of sale with TouchPoint, our electronic till point of sale solution, using touch screen technolog. Developed over 15 years through annual upgrades, it remains the proven and reliable point of sale solution (POS). TouchPoint till point of sale solution will handle all your requirements, ranging from scanning items, totaling the sale, juggling cash and cards. TouchPoint is compatible with various devices such as keg dispenser monitoring, electronic funds transfer (EFT) software, CCTV, advertising screens, weighing scales, and hotel property management software (PMS). With regular power interruptions and the national grid under pressure, power failures and load shedding continues to cause havoc in our business environments. With uncertainty in power supply, you can however count on TouchPoint. When the tills (and the lights) come back on you’ll find you haven’t lost any data. The system is robust and rugged and it doesn’t crash, which means you don’t lose a sale.